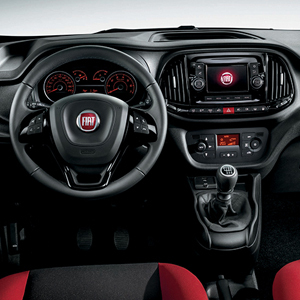 The New Doblò Cargo has a completely updated front end, packed with style and technological content. The line of the bonnet and front bumper further improve the aerodynamics, ensuring greater efficiency even at low speeds. 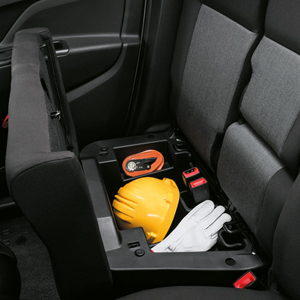 The New Doblò Cargo also astounds on the inside: technology, functionality and materials create a comfortable work environment that’s perfect for every job. 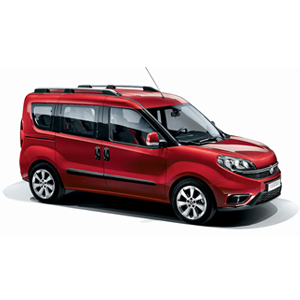 There is a total of no fewer than 10 storage compartments, including passenger side tilting drawer with soft opening and capacity of no less than 6.8 litres.